Have I told you yet how much I LOVE this series? If your answer is no, then you clearly haven’t read my reviews of books 1 & 2! 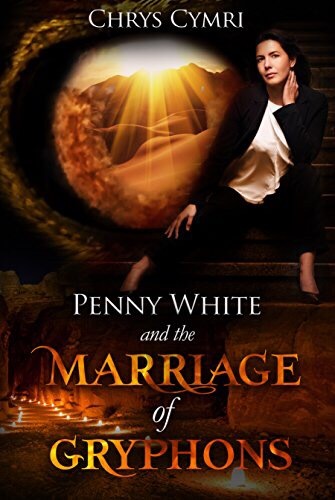 And if you have read those reviews but haven’t yet ventured into Penny White’s world – why in the name of heaven not? This installment finds Penny tackling quite a few hurdles while simultaneously having one of her greatest wishes granted. Ever since learning about Lloegyr Penny has wanted nothing more than a full time post as Vicar General of Incursions and to spend more time with the amazing creatures who reside there. When she gets a chance to serve as interim priest for a small village in Lloegyr she jumps at it eagerly. But in no time, Penny realizes the grass isn’t always greener… Things aren’t all wine & roses in Lloegyr; it’s more like barbed wire and gasoline. Meanwhile Morey’s family has set a series of trials which he and his closest friends (Penny, James, Peter & Clyde) must complete. But these aren’t just simple tasks; they’re epic and thrilling and dangerous. Each of them will be tested and if they fail, Morey’s future is at stake. Things get dark this time around. Themes of prejudice and intolerance abound. People (and I use the term loosely) grow and mature and change in significant ways. Particularly touching were several brother/sister moments between Penny & James. And, as usual, Clyde is amazing and sweet and endearing and… need I go on? As with all of Penny’s adventures, humor and love abound. Despite the heavier themes this is such an enjoyable read! You’ll be laughing aloud, reading non-stop, and raising a glass to Penny’s exploits. I truly cannot wait to see what Chrys Cymri has in store for us in book four. All three books in the Penny White series are currently available via Kindle Unlimited, so start reading today!